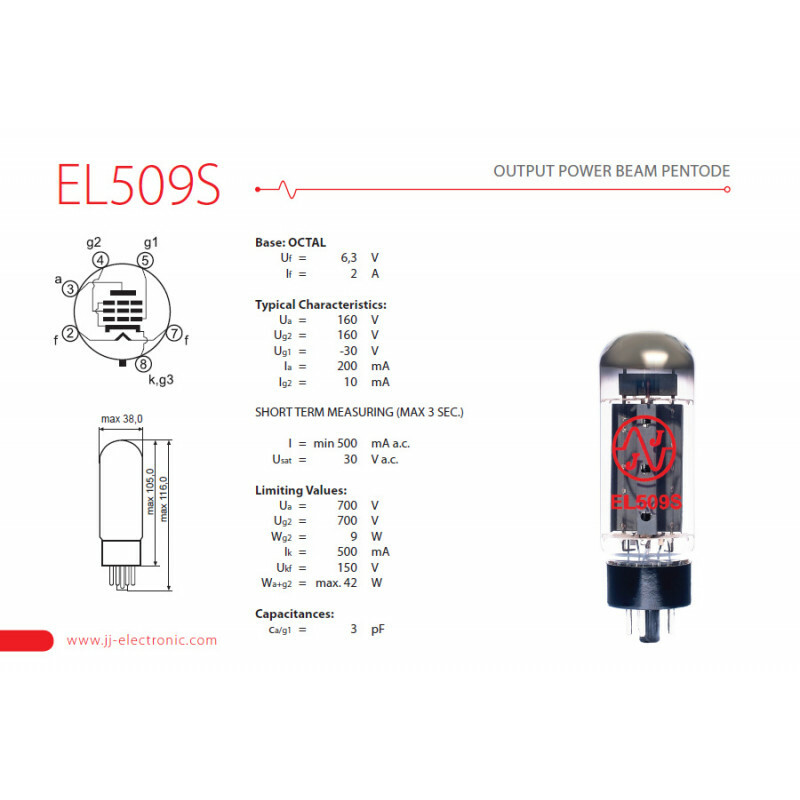 EL509S is a modified version of the original EL509/EL519. 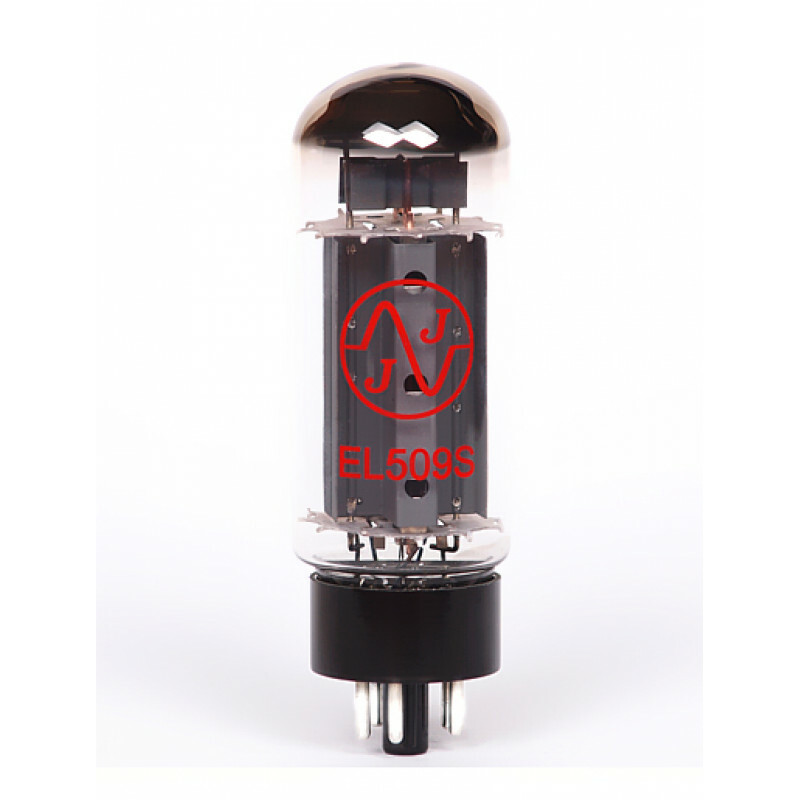 Does not have a top plate-cap and has an 8-pin octal base. 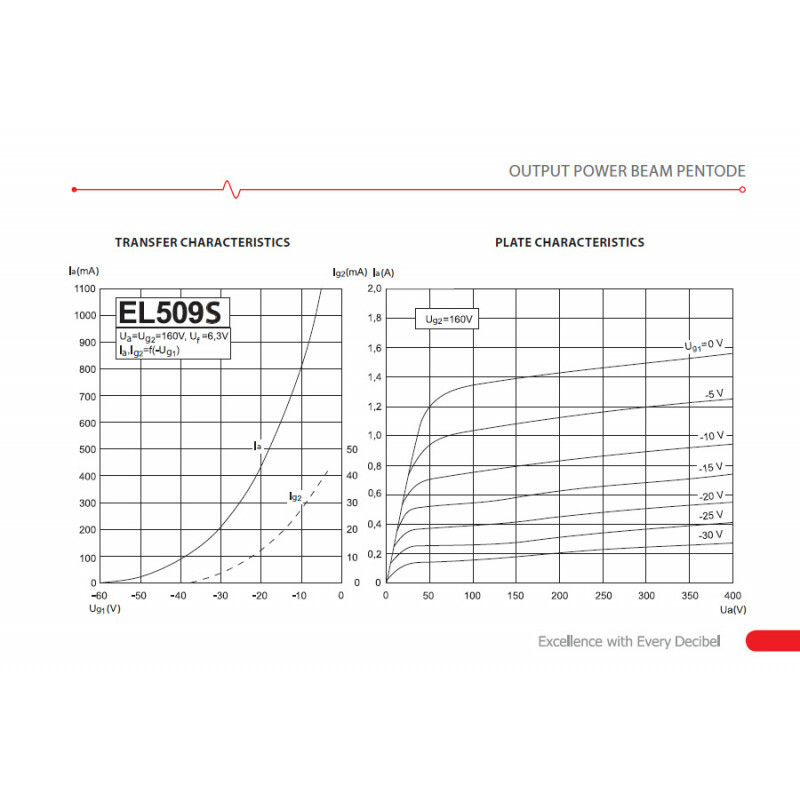 Can handle 700V and 42W plate dissipation. Popular in OTL applications. I = min 700 mA a.c.
Usat = 30 V a.c.